Among Donald Trump's many promises on his way to the White House was a tweeted vow to change the new name of North America's tallest mountain back to Mount McKinley. 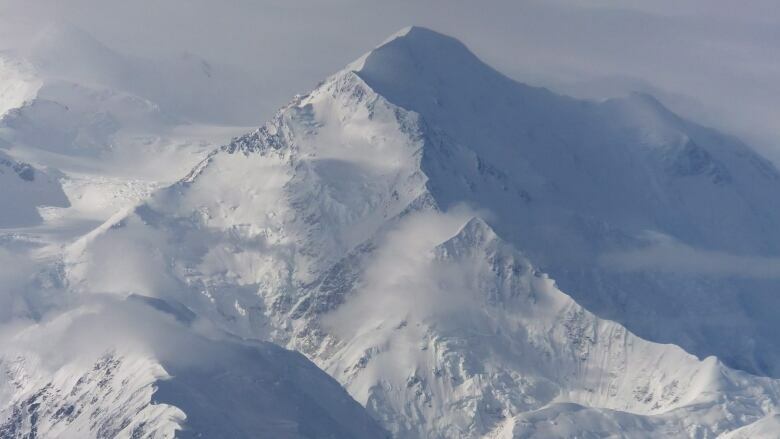 The Obama administration renamed the Alaska peak Denali in a symbolic gesture to Alaska Natives ahead of the president's visit to the state last year. Alaskans long have informally called the mountain Denali — "the great one" in Athabascan. But the U.S. government recognized the name invoking the 25th president, William McKinley, who was born in Ohio and assassinated early in his second term. McKinley never set foot in Alaska. "We wanted that change for a long time, and now we finally have it, and we need to leave it alone," said Victor Joseph, president of Tanana Chiefs Conference, a consortium of 42 Athabascan tribes in Interior Alaska. The organization spent years advocating for what they consider the 6,190-metre peak's original name. It's unclear at this early stage if Trump will take action. Changing the name would require a presidential executive order or an act of Congress, according to the federal board that oversees place names. Troy Eid, chairman of the Indian Law and Order Commission and a member of Trump's transition team, said in an email Tuesday he was not in a position to comment. Native name and thanked President Barack Obama for embracing it. Republican Ohio Rep. Bob Gibbs slammed the name swap as Obama's "constitutional overreach," and said he would look at trying to prevent it. This week, his spokesman Dallas Gerber said Gibbs hasn't decided what legislation he'll introduce in the next Congress.